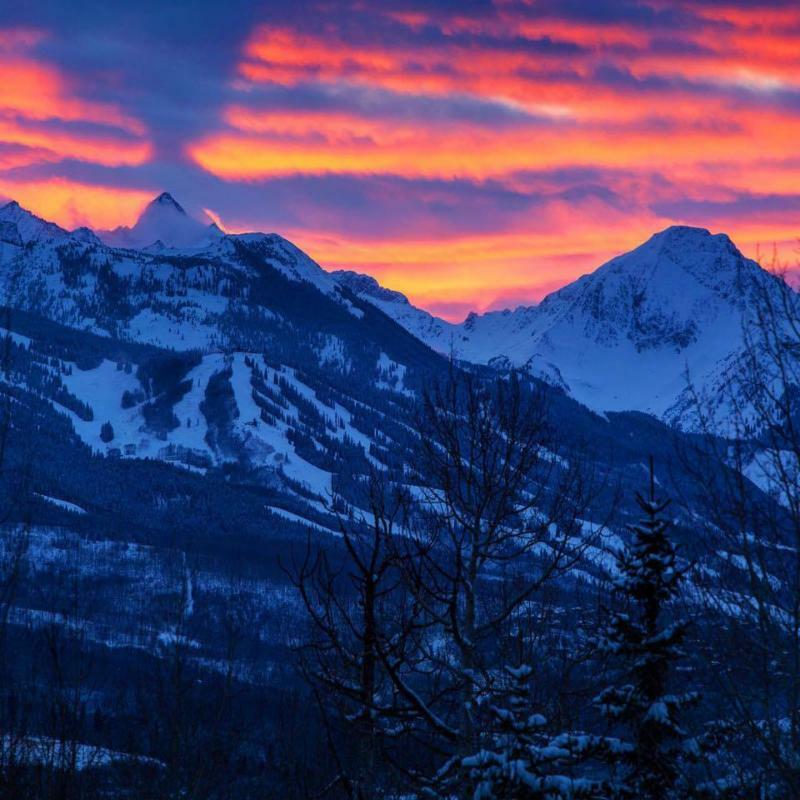 Snowmass sunset after 12″ of new snow. Record snowfall and record sales! The 2015-16 winter season is off to a stellar start. Just as we predicted, the 2015-16 ski season is off to a tremendous start, and the excitement is palpable on the streets of Aspen. An early season storm (aptly named “Ajax”) dumped over 17″ of new snow on November 17. It was enough to open Aspen Mountain (16″ base with 27 trails and 3 lifts open) and Snowmass (22″ base with 13 trails and 7 lifts open) for the season a week early, on November 21. For the full snow report, click here. Time to get those legs back in shape, and for me to enjoy those lunch breaks spent doing gondola laps on Aspen Mountain! There is certainly a lot to be thankful for this holiday season as the real estate market continues to gain unprecedented steam with record-breaking sale prices skyrocketing to new heights. It’s a very exciting time, especially for me after 30 years in the business. Please call or stop by when you are in Aspen. And as always, don’t hesitate to call us for all of your sales and rental needs. Happy Thanksgiving! We hope your holiday weekend is wonderful! The biggest news is that the unlisted penthouse on the corner of the newest building in town at the corner of Hunter and Hyman closed for $25,000,000-unfinished! 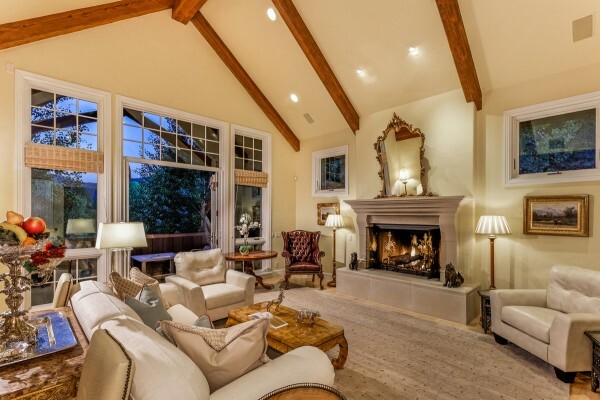 At almost 8,000 square feet plus a rooftop deck, it is probably the ultimate legacy property. 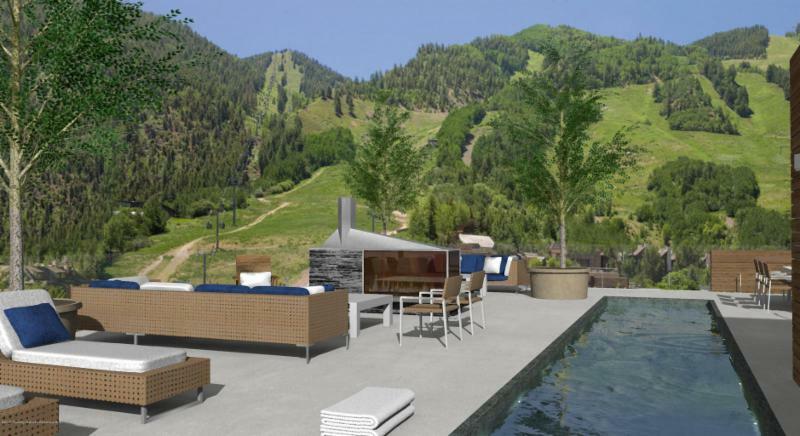 No one is talking who the buyer is, but this emphasizes the value of “core” property in downtown Aspen. Obviously, any luxury property that is within walking distance to the core will also be in demand, but for almost $3,000 per square foot? (We did mention that it’s unfinished, right?) This is now a new benchmark for property values in downtown Aspen. As we’ve said before: venture 6 blocks either east, west, or north to Red Mountain and you will “save” at least $1,000-$1,500 per square foot! 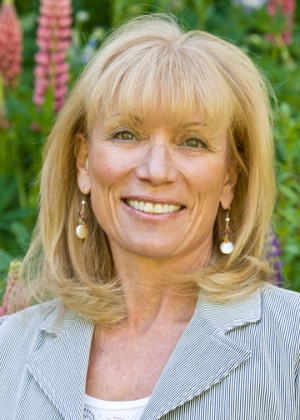 As you know, I pride myself on finding you the best property to meet your needs for sale or rent-listed or unlisted. Seriously, call me and surprise yourself. The hottest properties on the market today. This is the kind of value we’re talking about, just east of the downtown core, a beautifully finished, very private 1/2 duplex at barely $1,000 per square foot. Four bedrooms, 4 1/2 bathrooms, 4,016 square feet with a two-car garage listed for $4,200,000. Click here for more details. Holiday rentals still available. Book now, because these will go fast! 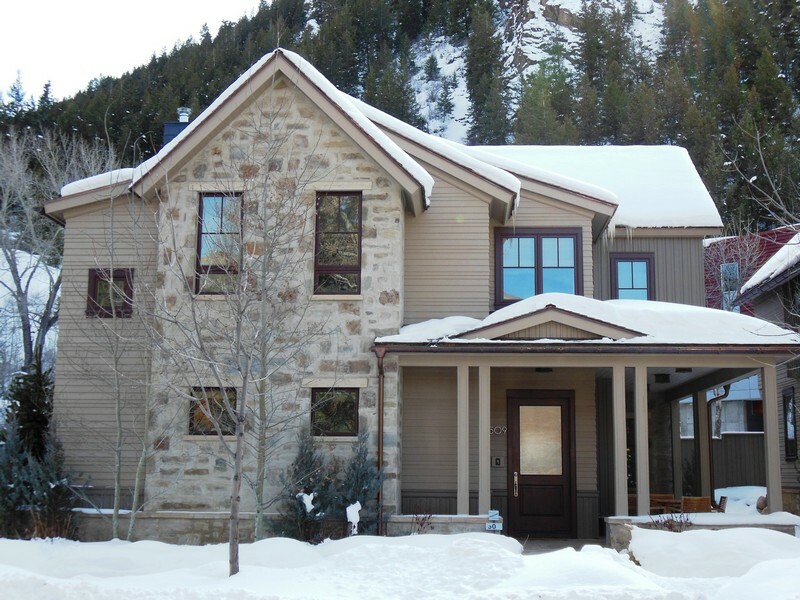 We still have three gorgeous homes available thru New Years, but they won’t last long. All properties are within walking distance to town. This is a 4-bedroom, 4 ½ bathroom contemporary home located at 509 W. Hopkins that is available for $3,500 per night plus tax. One block to the free skier shuttle, and an easy walk to restaurant row. 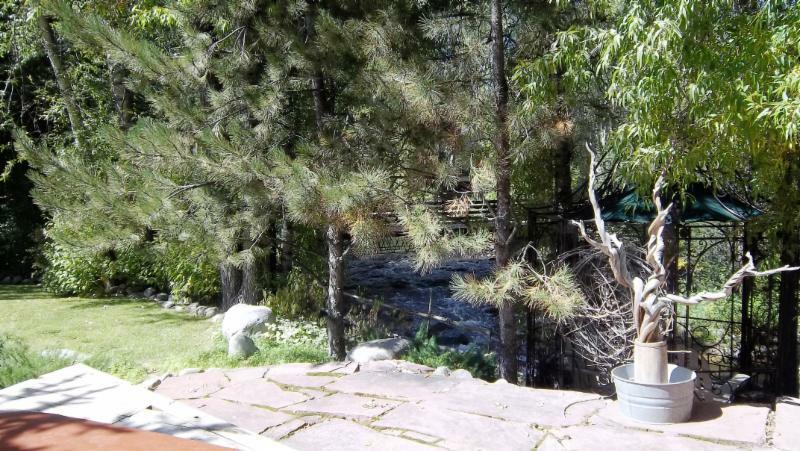 This 5-bedroom, 5 ½ bathroom home is located at 111 Neale Avenue, right on the Roaring Fork River, an easy walk to downtown Aspen & the gondola. Available for $ 4,500 per night plus tax. This is a 4-bedroom, 4 ½ bathroom contemporary home located at 511 Walnut Street that is available for $3,500 per night plus tax. 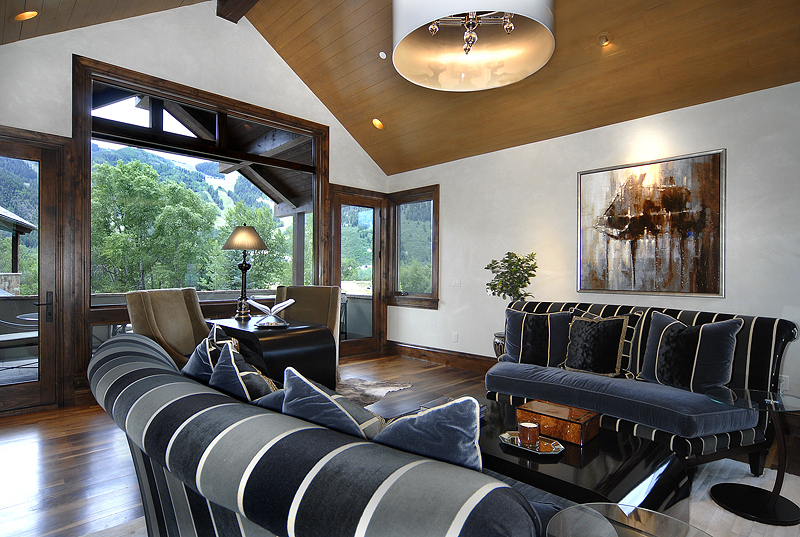 Located on the Hunter Creek bus route that runs every 20 minutes or a short 5-10 minute walk to downtown Aspen. Need ski rental equipment without the hassle? Just call Jeeves! 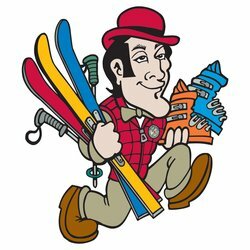 We’re not talking about a butler of the white-gloved variety, but Ski Butlers, an in-home ski rental home delivery service. When my grand-daugherters came to town I called, gave them the girl’s boot sizes, height and weight. The ski tech drove to my house, fitted the girls and we hit the slopes! When it was time for them to head home, the ski tech showed up at my house with a smile to pick up all the gear, including helmets. I highly recommend this convenient service for your house guests – no crowds, no aggravation – and a real pleasure! The winter season kicks off with World Cup Skiing, The Nutcracker, and so much more. 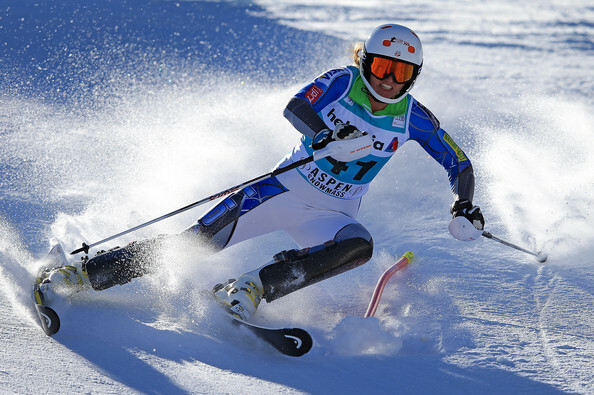 The fastest women in the world will be racing on Aspen Mountain November 28 – December 1 for Aspen Winternational, a can’t-miss celebration that has just been expanded to three days of World Cup ski racing. Join the locals on top of Aspen Mountain for Summit for Life, a weekend celebration of life benefitting the Chris Klug Foundation, December 4-5. Everything that glitters is gold at The Gold Sky Party, a benefit for the Shining Stars Foundation, December 11 from 6 – 8 p.m. The Aspen Santa Fe Ballet presents The Nutcracker December 12 & 13 with two performances each day. Be sure to check out Allen Harris “Black Bar Juke Box” at the Jas Café December 18 & 19 for some jazz, soul, and funk ’60s black radio. Scott Bradlee will perform the Postmodern Juke Box at the Wheeler December 19 for the Grand Re-Opening Party at the Wheeler. 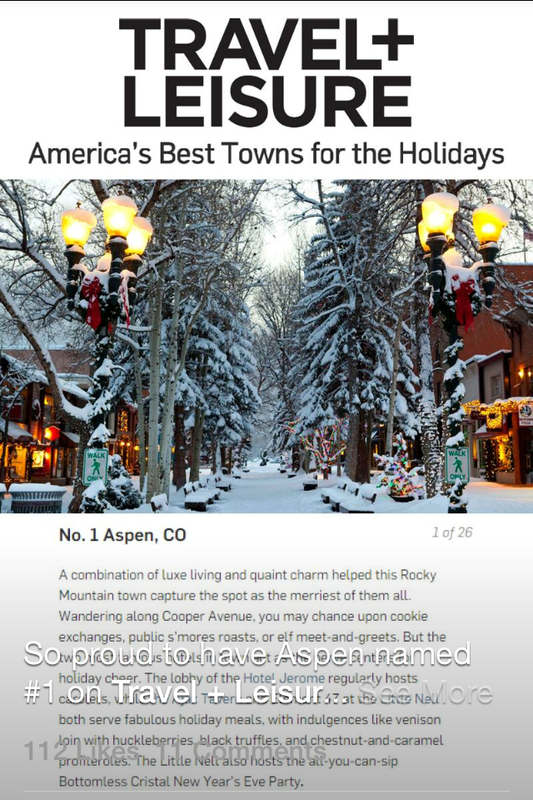 Aspen comes alive with everything from free ice skating, holiday treats and carolers during the 12 Days of Aspen, December 20 – 31. Get up close and personal with comedian Kevin Smith at the Wheeler, December 20. The Annual Aspen Film Academy Screenings kick off at the Wheeler Opera House December 22 – January 2. Aspen Words is proud to announce Juan Felipe Herrera, the 21st Poet Laureate of the US and the first Latino to hold the post, January 12 as part of the Winter Words Festival. Registration is now open for The Aspen Ideas Festival, June 26th – July 2nd. This event sells out so buy your tickets now! New Years Eve in Aspen: So many parties, so little time! Don’t miss a rockin’ New Years Eve at The Belly Up with Los Lobos. Or swing by the Hotel Jerome for Nightout & Aspen 82. Tickets include all you can drink sponsored by Breckenridge Distillery, appetizers and party favors. Aspen’s Bottomless Cristal New Year’s Eve at the The Little Nell includes bottomless Dom Perignon, an open bar, food stations and two musical acts from Elan artists.